Odyssey of the Mind is an international educational program that provides creative problem-solving opportunities for students. The students apply their creativity to solve problems that range from building mechanical devices to presenting their own interpretation of literary classics. They then bring their solutions to competition firstly here in Germany at the German Finals and then either to the EuroFest or for teams taking a first place to the World Finals level in the United States. Thousands of teams from throughout the U.S. and from about 25 other countries around the world participate in this hugely acclaimed program. Odyssey of the Mind is a competitive program. The competitive element encourages students to be the best that they can be, but it’s a friendly competitive way. Students learn from and cheer on their competitors. Odyssey of the Mind is all about creativity, an often overlooked element in the growth and development of many students. Kids are rewarded more for how they apply their knowledge, skills and talents, and not for coming up with the right answer. In fact, in Odyssey of the Mind problems, all answers are important and acknowledged, always. The shy student, who usually stays in the background, lacking confidence, flourishes in this program. 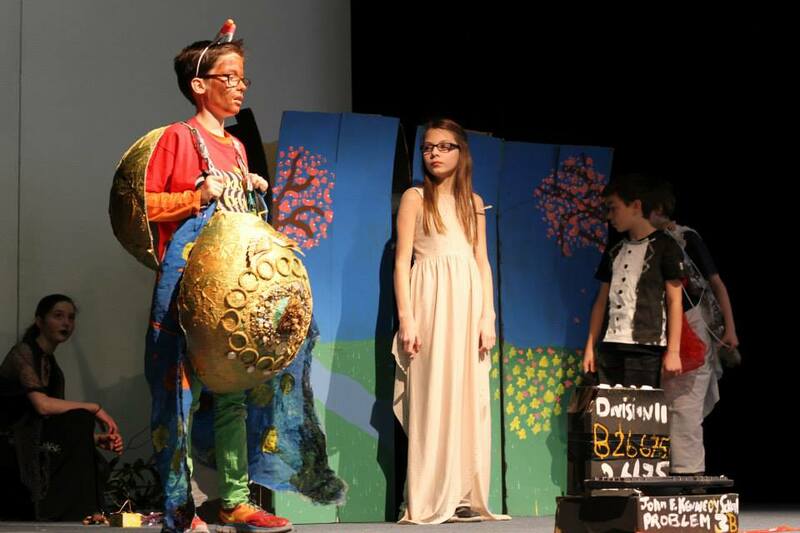 In Odyssey of the Mind, students learn at a young age skills that will last a lifetime. They build friendships that last for a lifetime. They work in teams so they learn cooperation and respect for the ideas of others. They evaluate ideas and make decisions on their own, gaining greater self-confidence and increased self-esteem along the way. They work within a budget, so they learn to manage their money. They see that there’s often more than one way to solve a problem, and that sometimes the process is more important than the end result. Five new problems are set at the beginning of each school year by the Odyssey of the Mind organisation in the US. The problems appeal to a wide range of interests; some are technical in nature, while others are artistic or performance-oriented. Under the guidance of an adult coach, teams work on their solutions throughout the school year and present them in organized competitions in the spring. These championship teams are then invited to participate in the annual Odyssey of the Mind World Finals, where they compete with teams from countries around the world, including Canada, China, Hungary, Japan, Kazakhstan, Lithuania, Malaysia, Poland, Singapore Uzbekistan and, of course, teams from all the US states. New countries join the program each year.